With her ability to present clues without giving away the endings and offering surprising twists encouraging the reader to the next page, D. J. Adamson delves into a family tragedy ending up in murder and a teenage daughter missing. When Lillian Dove finds herself involved in the police investigation, she realizes the daughter holds the key to unravel who killed her mother. It is three days before Christmas when Lillian Dove comes across Dr. Conrad standing out in front of his house, covered in blood. When going inside the house to help other members of his family, she finds his wife killed, his son seriously injured, and his teenage daughter, Peyton Clayton, missing. Even more shocking, the police suspect Dr. Conrad. Understanding how emotional dilemmas have strained the family emboldens Lillian to help Detective Jacque Leveque, Major Crimes Detective for the Frytown Police Department, find the prime witness to the Conrad truths. 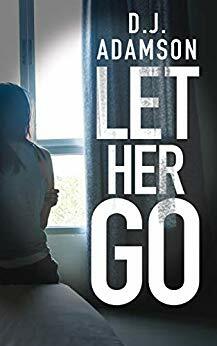 Let Her Go is a nerve-wracking exploration into a family lost, and the extent love elicits both the good and the bad. In this Third Step in Personal Recovery Lillian works to find Peyton Clayton, while battling the worse arctic freeze in Frytown’s history, untangling human frailties, and confronting the ghosts of Christmas. D. J. Adamson is an award-winning author for both her mystery novels and her science fiction novel. 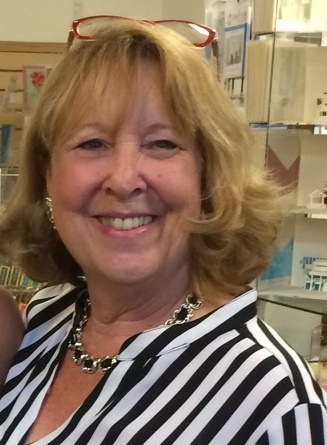 She is the editor of Le Coeur de l’Artiste, a newsletter which reviews books, and a blog, L’Artiste with offers authors the venue to write on craft, marketing, and the creative mind. D.J. teaches writing and literature, and to keep busy when she is not writing or teaching, she has been a board member of Sisters in Crime Los Angeles and Sisters in Crime Central Coast, a member of the Southern California Mystery Writers Organization, California Writers Club, and Greater Los Angeles Writer’s Society.